Inflatable floating unicorn with space for 4 drinks. 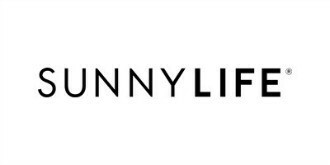 Enjoy a delicious cocktail, smoothie or fresh pint on the water and let yourself be served by this unicorn of Sunnylife Australia, The Original. Ready for a summer that never ends? Float in style on this luxurious inflatable banana from Sunnylife Australia, The Original. XL air mattress made of high quality material, suitable for unrivaled floating pleasure at sea, swimming pool or lake. Set of 2 inflatable drink holders. Enjoy a delicious cocktail, smoothie or fresh pint on the water and let yourself be served by these colorful inflatables of Sunnylife Australia, The Original. This daisy colours every room brightly fresh with its white and yellow neon light. The dimmer also makes this neon suitable as a soft glowing nightlight, for example in the children's room. Works with supplied adapter. Neon lamp in the shape of an ice cream. Works with supplied USB cable or batteries. Children float in style on this inflatable childhood swan, from Sunnylife Australia, The Original. Made of high-grade PVC, for guaranteed fun at sea, in the pool or on the lake.